The Philippine Federation of Japan Alumni (PHILFEJA) announced the passing of its beloved President, Benjamin “Benjie” C. Laurel on August 10, 2014 after a lingering illness. 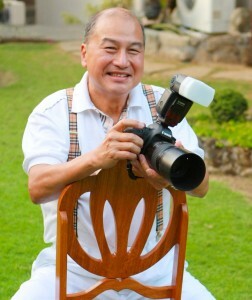 Mr. Laurel was PHILFEJA President for two terms (1996 to 1999; 2013-2016), representing SAPILNIP. His incumbency coincided with the Philippines’ hosting of the 21st ASEAN Council of Japan Alumni (ASCOJA) Conference to be held in 2015. By virtue thereof, Mr. Laurel took over the Chairmanship of ASCOJA from Vietnam which hosted the 20th ASCOJA Conference in Hanoi. In 2012, Mr. Laurel was also elected Chairman of the Asia Japan Alumni (ASJA) International for a two year term ending March 2014. He was unable to preside over the 28th ASJA Board Meeting held in Tokyo on March 2014. He then dispatched Mr. Philip Sanvictores to preside over both the ASJA Board Meeting and the ASCOJA Board of Governors Meeting on his behalf. As a young man in 1974, Mr. Laurel joined Atty. Leocadio de Asis and Mr. Benjo Osias as emissaries of Amb. Jose S. Laurel III and PHILFEJA to Indonesia, Malaysia, Thailand and Singapore with a mission to encourage counterpart Japan alumni associations to organize the ASEAN Council of Japan Alumni (ASCOJA) which was eventually established in 1975. Since then, Mr. Laurel had attended all ASCOJA Council meetings and Conferences that have been held in the various capitals of ASEAN member countries. ASCOJA eventually expanded its membership to 10 countries, including Vietnam, Myanmar, Cambodia, Laos and Brunei.